Did someone say GLITTER HIGHLIGHTER?! 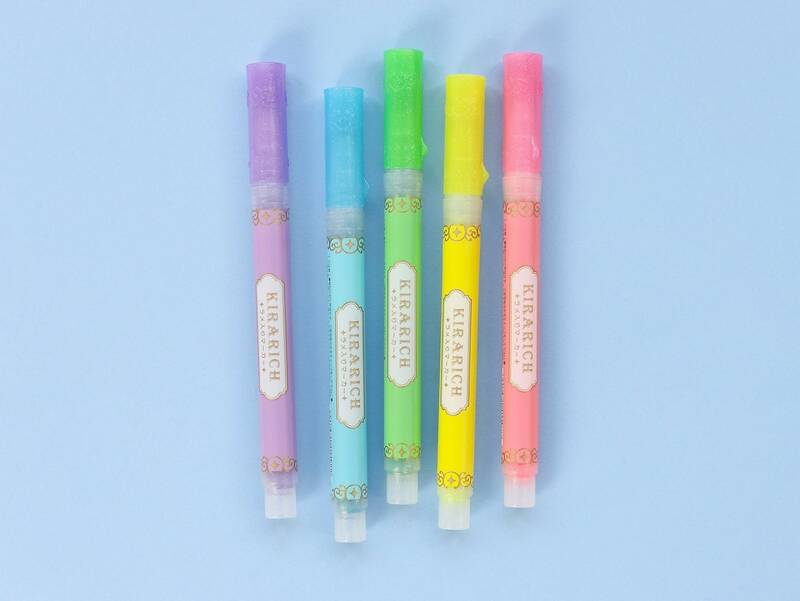 Highlighters have become a staple in my Bullet Journal Supply kit! They're ace for marking special information and creating eye-catching headers and decorations too. 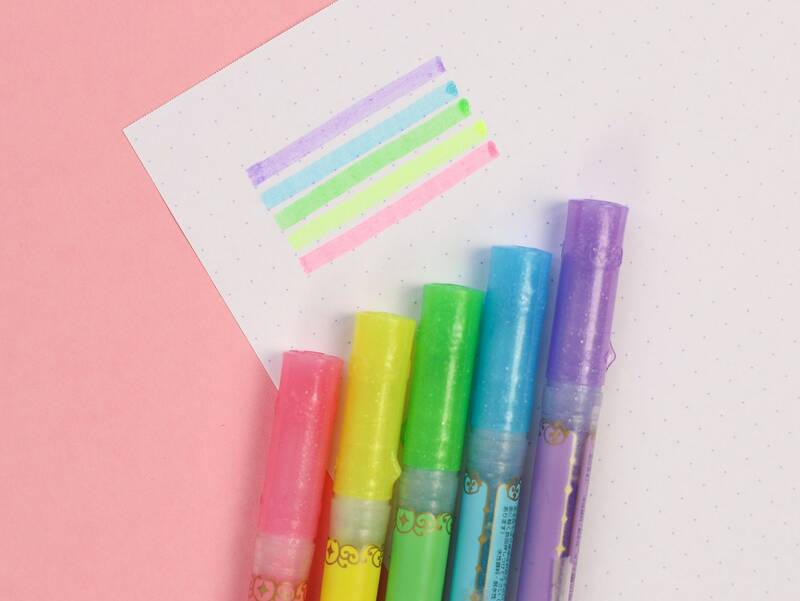 These japanese import Kirarich highlighters by Zebra have a touch of fine sparkly glitter in their ink- making them stand out from the rest. Available in 5 sparkly rainbow colours- this listing is for ONE pen only. Select your colour before checkout. Super brilliant shopping experience. Ordered from NZ, dispatched pretty much same day to the UK, was there in a day or so. Gift for my friend's birthday and she absolutely LOVED her parcel which was beautifully wrapped. Can't recommend highly enough to shop through Nikki! It's pink... it's glittery... How could I not love it. Its gone straight into my journal pen loop. Ill be buying them all. Thank you.